They may look a little like space capsules, but nuclear magnetic resonance spectrometers stay planted on the floor and use potent magnetism to explore opaque constellations of molecules. Three Atlanta area universities jointly launched a nuclear magnetic resonance collaboration called the Atlanta NMR Consortium to optimize the use of this technology that provides insights into relevant chemical samples containing so many compounds that they can otherwise easily elude adequate characterization. The consortium has been operating since July 2018. Take, for example, crab urine. It’s packed with hundreds to thousands of varying metabolites, and researchers at the Georgia Institute of Technology wanted to nail down one or two of them that triggered a widespread crab behavior. Without access to NMR they may not have found them at all even after an extensive search. The spectrometer pulled the right two needles out of the haystack, so the researchers could test them on the crabs and confirm that they were initiating the behavior. Emory University, Georgia State University and Georgia Tech already have NMR technology, but the Atlanta NMR Consortium will enable them to fully exploit it while cost-effectively staying on top of upgrades. “NMR continues to grow and develop because of technological advances,” said David Lynn, a chemistry professor at Emory University. 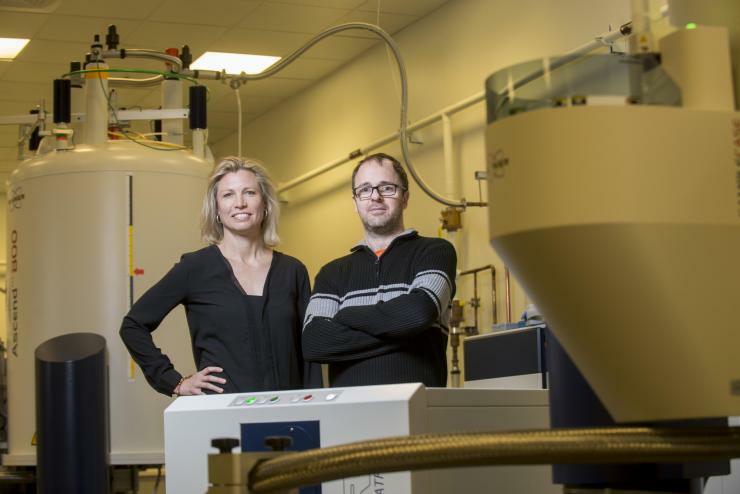 That means buying new machines every so often, and one new NMR spectrometer can run into the millions; annual maintenance for one machine can cost tens of thousands of dollars. Thus, reducing costs and maximizing usage makes good sense. The human body, sea-side estuaries, and rock strata present huge collections of compounds. 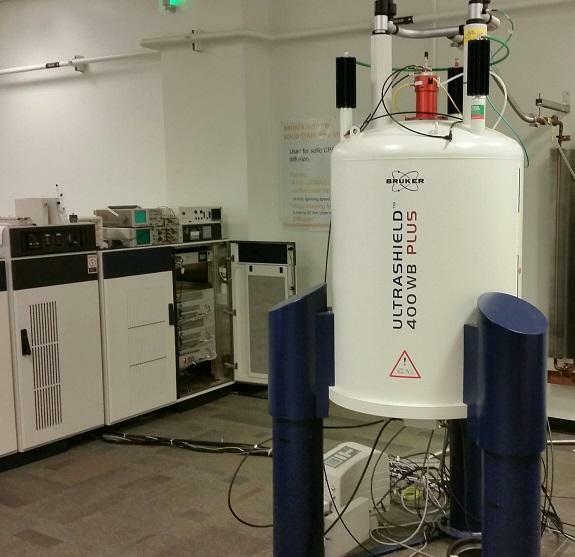 NMR takes inventory of complex samples from such sources via the nuclei of atoms in the molecules. A nucleus has a spin, which makes it magnetic, and NMR spectrometry’s own powerful magnetism detects spins and pinpoints nuclei to feel out whole molecules. These can be large or small, from mineral compounds with three or four component atoms to protein polymers with tens of thousands of parts. Researchers in medicine, biochemistry, ecology, geology, food science – the possible list is exhaustive -- turn to NMR to untangle their particular molecular jungles. The consortium wants to leverage that diversity. “As we go in different directions, we will benefit from a cohesive community of people who know how to use NMR for a wide range of problems,” said Anant Paravastu, an associate professor in Georgia Tech’s School of Chemical and Biomolecular Engineering. “The most important goal for us is the sharing of our expertise,” said Markus Germann, a professor of chemistry at Georgia State. 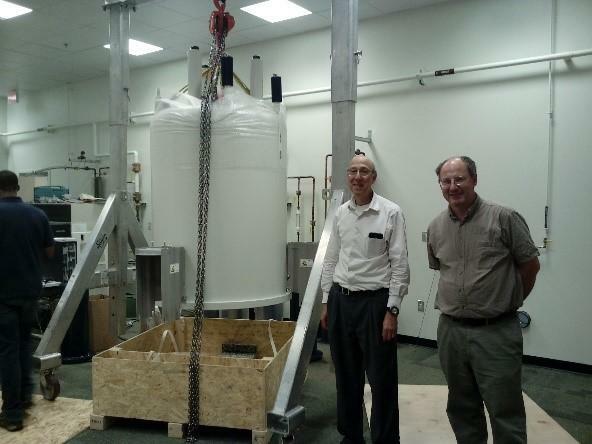 Leslie Gelbaum and Johannes Leisen during unpacking of new NMR instruments in July 2016. Photo by Julia Kubanek.